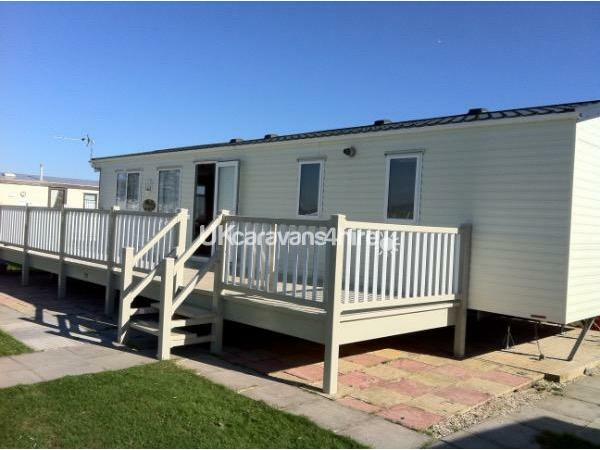 £100 non-returnable deposit required upon booking plus £50 returnable bond with your final balance 6 weeks prior to the start of your holiday. 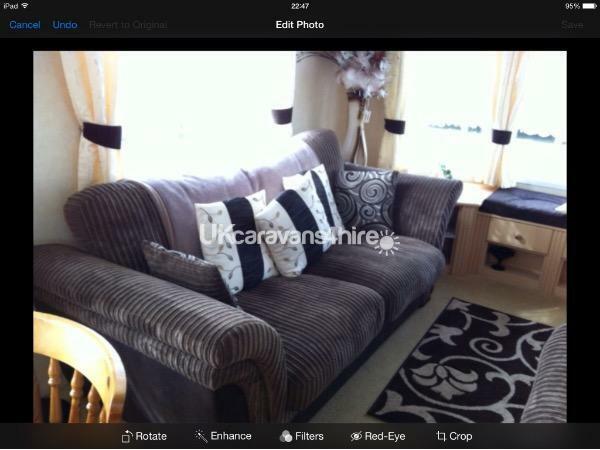 This van is high spec with everything you need for a comfortable holiday. 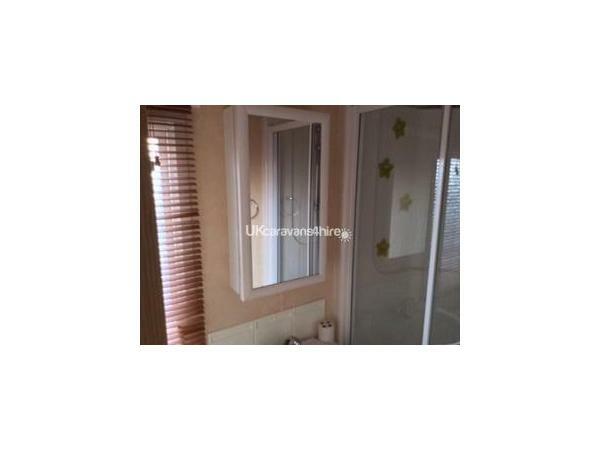 3 bedrooms (1 double with walk-in wardrobe plus en-suite) 2 twin rooms that can be made into doubles. 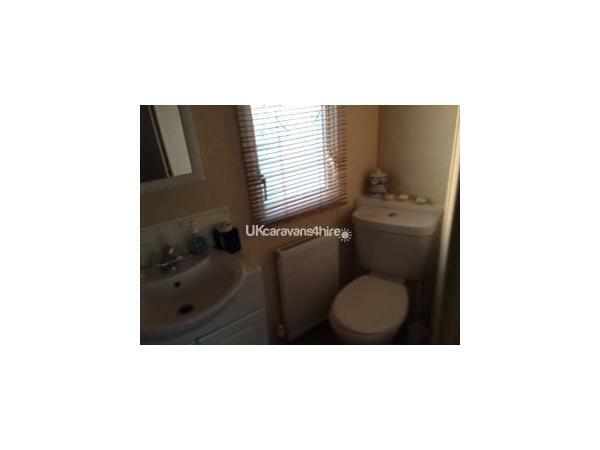 Bathroom as spacious shower unit with power shower in, wash basin and toilet. 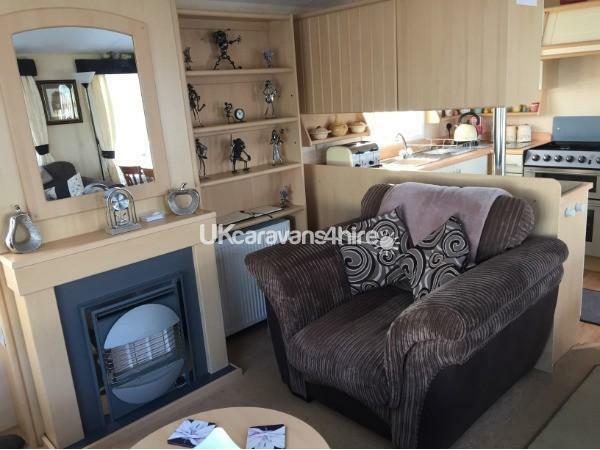 The lounge has gas Fire, large TV, DVD player and comfy settee and chair. 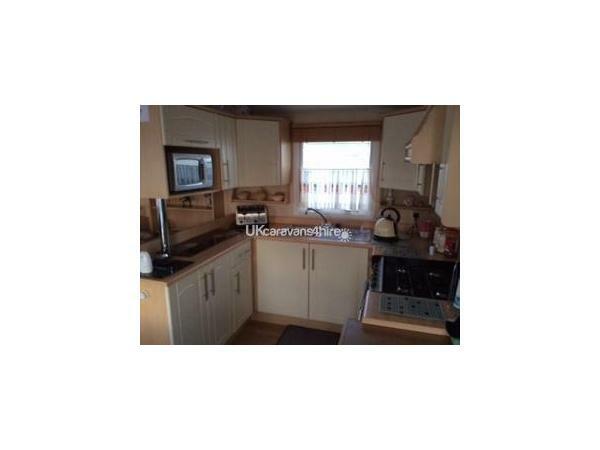 Kitchen as everything you need fridge, full gas cooker, microwave, kettle and all utensils. 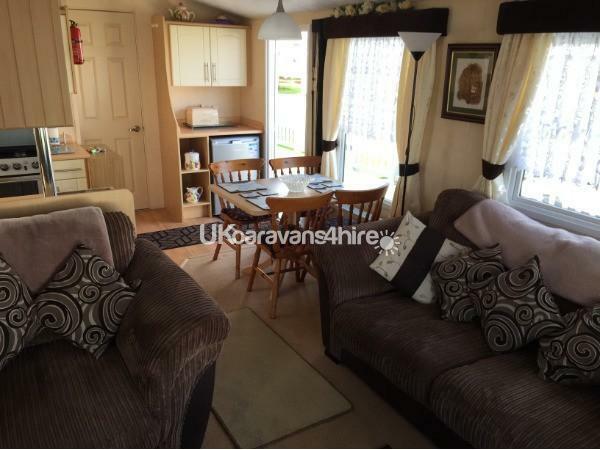 Dining area as table and chairs. 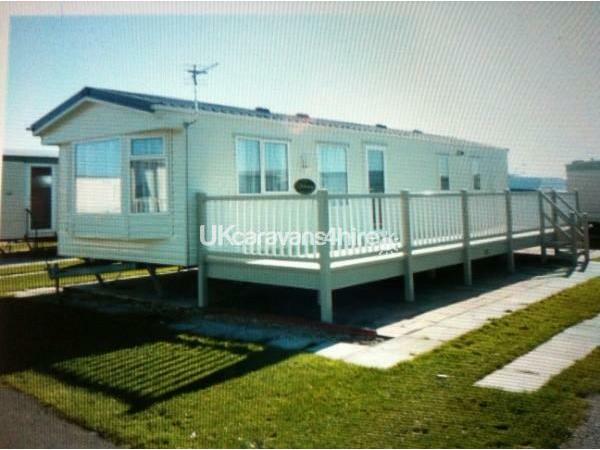 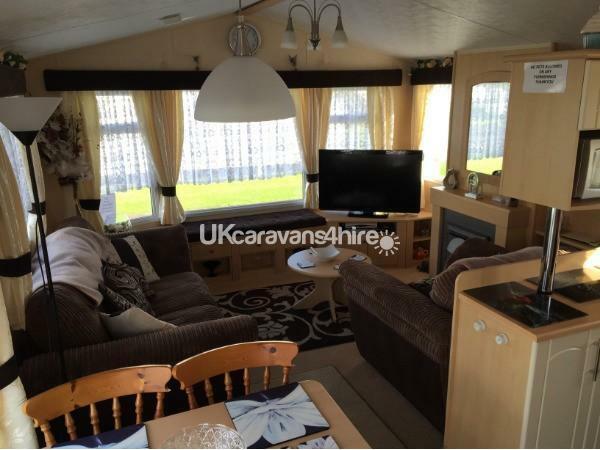 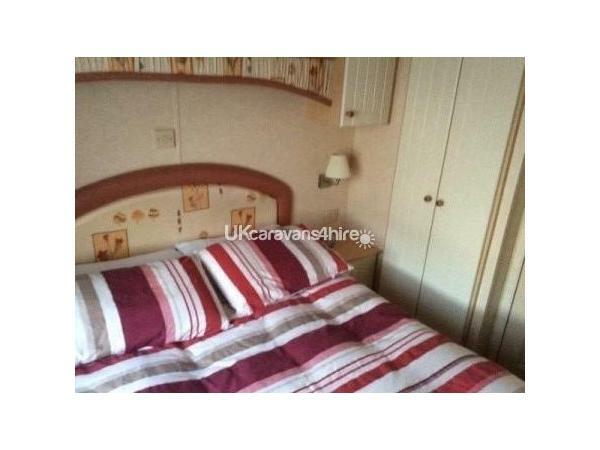 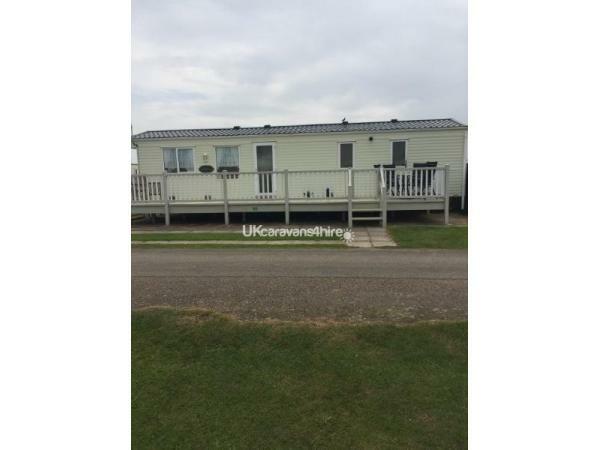 This caravan is on a good hard based plot with car port, kingfisher is a good well looked after site with barrier control, CCTV and nightly security patrols. 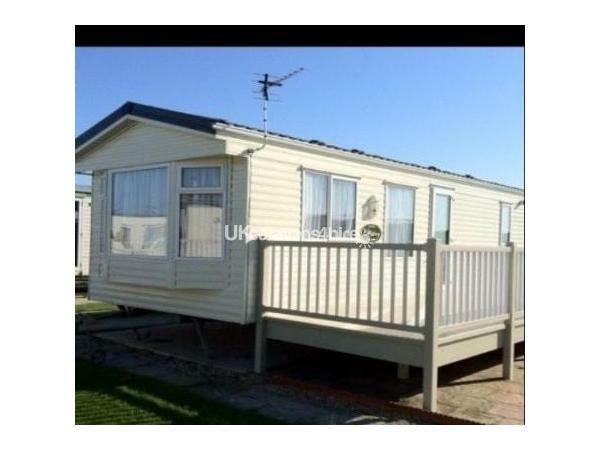 We are very close to all attractions market and fantasy island only 5 minutes stroll from site.